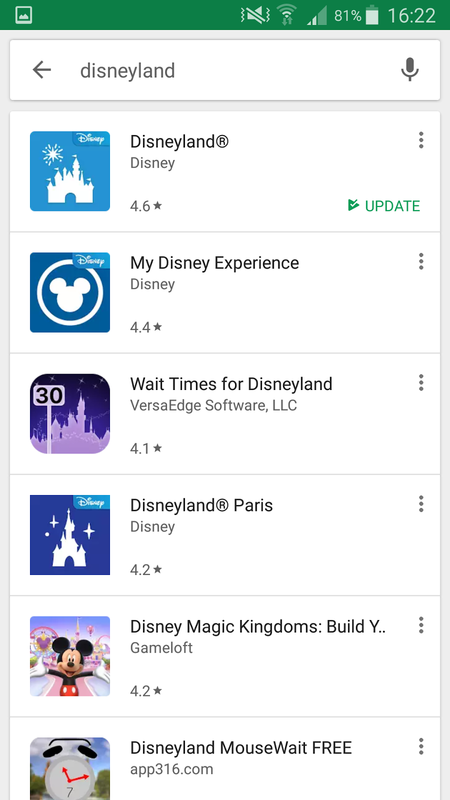 Even though I’m only at a Disney Park every few years I still keep this app (along with every other park app) on my phone and regularly updated. It’s great for live and accurate wait times, along with park maps, daily opening hours, and show times. Why would I keep it on my phone then? Well, until now, I didn’t really need to know that the average wait time of Indiana Jones, between the hours of 6 and 7pm, was 45 minutes, in August 2018. Deep down though I knew that keeping this app would render my pointless knowledge marginally useful one day. 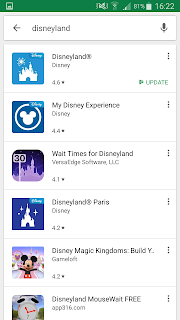 To download the app for free just head to your phone’s app store and search for Disneyland. It should be the first one that comes up. The App is more than just a convenient way to monitor wait times and check what time the Frozen Musical begins. It also allows you to sign up for an account, the benefits of which are fantastic. Buy your tickets to the Resort and have them stored on your phone. Conveniently order food from Disney Restaurants and pick up without having to queue. Make reservations at the major restaurants. Reserve a place for character meals and Dining packages for shows. For those who do not wish to download the app, please find the link to all park maps here. Having a good knowledge of these maps will make your trip so much easier and understanding future blog posts a breeze. Unlike most theme parks, and basically anywhere else ever, opening hours vary significantly at Disneyland. This can make planning your trip slightly more inconvenient, however, if you keep informed it shouldn’t bother you too much. Hours can range from 8am-midnight at Disneyland and 8am-11pm at California Adventure. Sometimes they open half an hour earlier (just for fun) and close earlier depending on the time of year, month or week. The best thing to do to get on top of these hours is check out the Disneyland Calender here. Alternatively check your app. The lighter it is, the longer it’s open: In Summer and other peak times the park generally stays open until midnight. The second Park closes first: California Adventure closes earlier than Disneyland, usually not too long after the World of Colour Show ends. The early bird gets the worm: Try to get to the entrance of either park at least half an hour before opening time. This cuts down queues at security check points and, you might even be there on a day they choose to open that little bit earlier!